The Ewald Weibel Prize for lung research in Switzerland will be awarded for the first time in 2017. 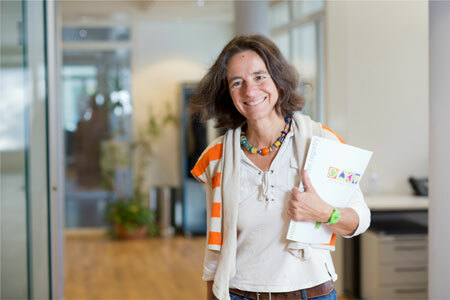 The recipient is Claudia Kuehni of the University of Bern’s Institute of Social and Preventive Medicine. Professor Kuehni will receive the prize in recognition of her “outstanding epidemiological and clinical work on lung disease in children,” particularly in the fields of lung development, childhood asthma, and primary ciliary dyskinesia, as well as for her contribution to the development of neonatal screenings for cystic fibrosis. 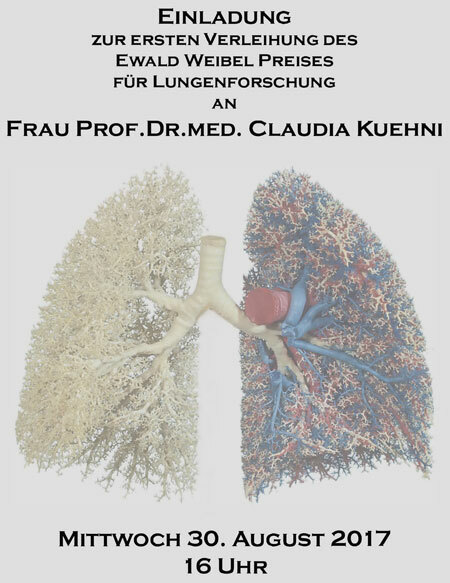 The Swiss Lung Foundation and the University of Bern’s Anatomical Institute will confer the prize – which includes an award of CHF 10,000 – for Kuehni’s outstanding achievements in Switzerland in the research field “Lungs and Breathing”. The award was created in recognition of Ewald Rudolf Weibel, Professor Emeritus and former Director of the Anatomical Institute. The award-winner will present her work at an awards ceremony on Wednesday, August 30, at 4 p.m. in the Ewald Weibel Auditorium of the Anatomical Institute, Bühlstrasse 26, Bern.